Photo courtesy of San Diego MWR website. Naval Base Coronado is hosting members of Navy Wounded Warrior – Safe Harbor as they train and compete in Navy Wounded Warrior Trials March 16 – 22. According to their website, Navy Wounded Warrior – Safe Harbor’s mission is to coordinate the non-medical care of seriously wounded, ill and injured Sailors and Coast Guardsmen, their families and caregivers. The program provides individually tailored assistance designed to optimize the success of shipmates’ recovery, rehabilitation and reintegration activities to more than 5,000 wounded warriors and their families. 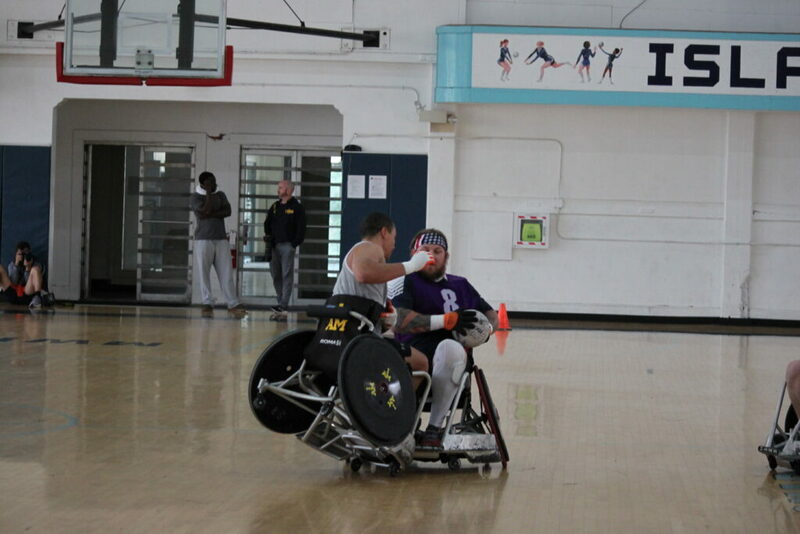 One aspect of that recovery is through adaptive sports reconditioning that occurs at various adaptive sports camps, preparing athletes for Navy Wounded Warrior Trials. The top athletes from the Navy Trials will move on to represent team Navy at the Department of Defense Warrior Games, hosted by Special Operations Command (SOCOM), in Tampa, FL later this year where they will go head-to-head with other military services. 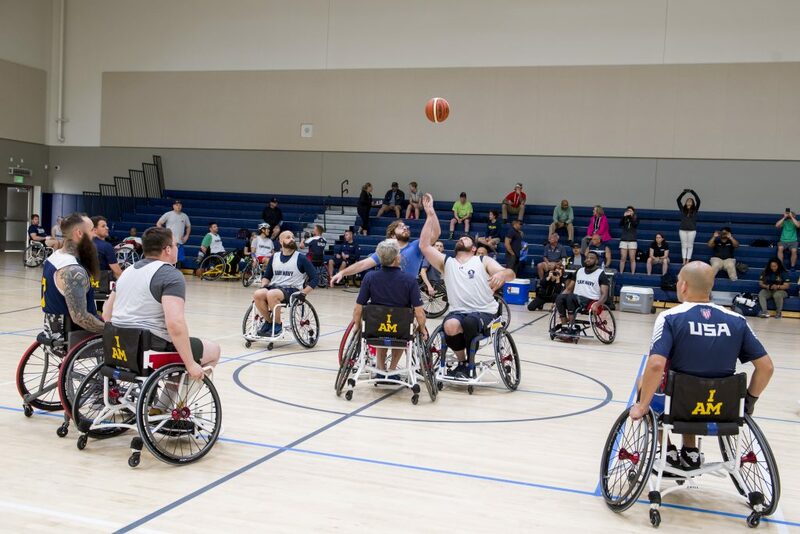 Thirteen events from wheelchair basketball to archery will take place at various locations on board Naval Air Station North Island, Naval Special Warfare Coastal Campus, and Coronado High School Track. 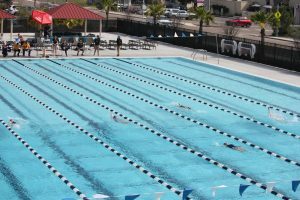 Coronado Unified School District and the City of Coronado partnered with Naval Base Coronado to provide the track as there is not a regulation track on the base. Interested community members that would like to cheer on members of Team Navy at the track can watch events from 0800 – 1200 Friday March 22. 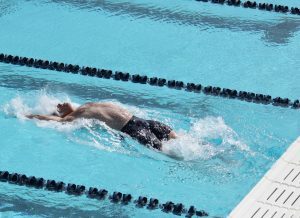 Coast Guardsman Daryl Schaffer competes in the 50 meter breast stroke. Coast Guard Captain Daryl Schaffer competes in the 50 meter back stroke. Tuesday, athletes competed in the swim events with their coach Jason Lupo of Colorado Springs coordinating the events. 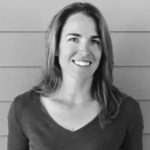 With experience coaching Paralympic cyclists, Lupo works with athletes at the seven adaptive sports camps held across the nation leading up to the Warrior Games. 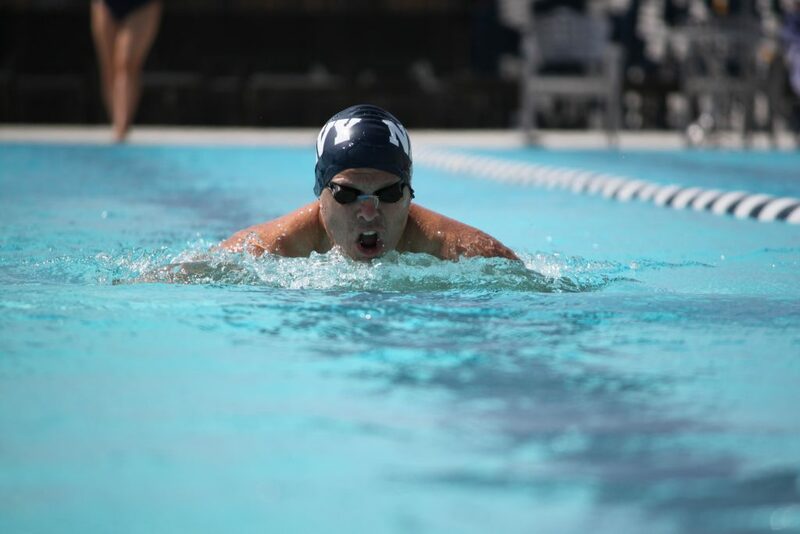 “A number of our athletes have a good chance to medal at the Warrior Games,” said Coach Lupo, “Swimming is a good event for Navy.” Lupo shared that injuries ranged from amputee to visually impaired to service members with PTSD. Each athlete is required to participate in a minimum of three different events. 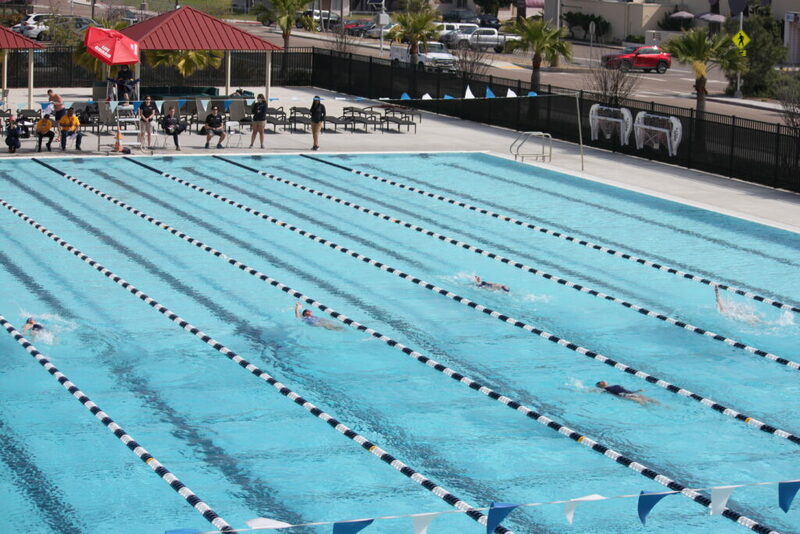 Forty athletes will move on to represent Team Navy in Tampa and selection is based on what each member can bring to the team across the spectrum of their three or more events. Another interesting note is that athletes can participate in the wheelchair events even if their disability does not require a wheelchair. 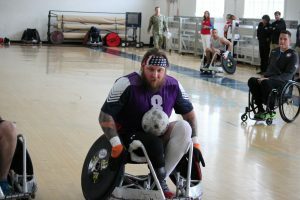 The focus of these games is to provide competition, a sense of purpose and rehabilitate service members through adaptive sports. Athletes battle for the ball in wheelchair rugby at the Navy Warrior Trials on board NAS North Island. Athletes participated in Wheelchair Rugby Wednesday morning and while all athletes are strapped in to the wheelchair to play the games, after the game ends some athletes stand up and move on to their next event. 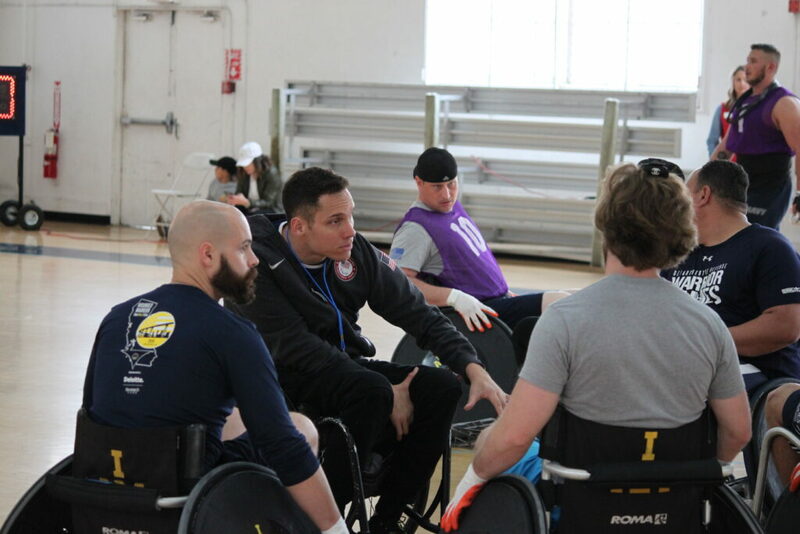 U.S. Paralympic Wheelchair Rugby team members Joe Delagrave and Chuck Melton are the coaches for Team Navy Wheelchair Rugby. This year is the first year the event will be part of the warrior games. “It is a huge honor to work with you all,” said Delagrave to the team after the trials. Neither coach has served in the military but shared how impressed they are with the athletes they coach. Coach Delagrave also shared that while he never served in the Navy, this experience is special to him because his grandfather was one of the Golden Thirteen, the first black men to be commissioned as officers in the United States Navy. Coach Delagrove provides pointers to the athletes competing for a spot on Team Navy.